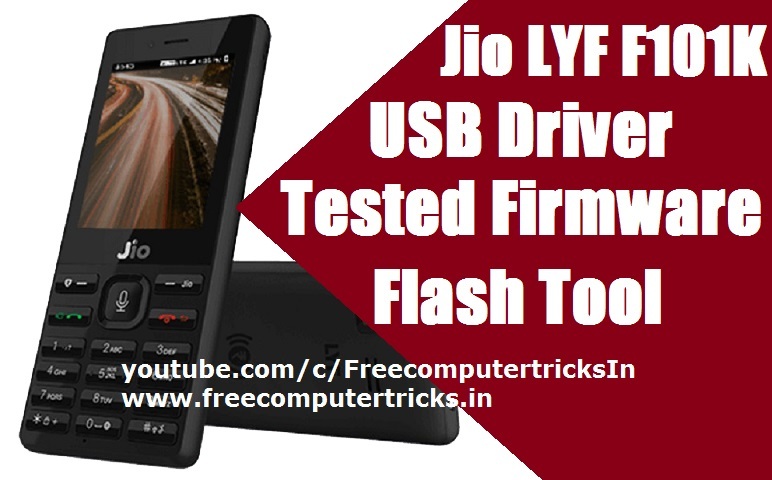 Here you will get all the necessary files and flash tool required for to flash Jio LYF F101K Keypad smartphone, such as LYF F101K tested firmware, LYF F101K USB driver and LYF F101K flash tool. You can get so many links to download LYF F101K firmware by searching it on the Internet, but you may not get the tested firmware link and for you only we have tested the firmware by flashing the phone using this flash file or firmware or ROM and posting it here to all of you who need the tested and working firmware for LYF F101K Android phone. So here not only you get the working firmware but also you can download USB driver and Flash tool for the phone.